It’s all happening at Flamengo these days both on and off the pitch. First of all and most importantly for their fans they are through to the group stages of this year’s Copa Libertadores. They beat Real Potosí from Bolivia 3-2 on aggregate. But off the field, the signs look ominous as Vanderlei Luxemburgo was fired as coach and the row over Ronaldinho’s unpaid wages rumbles on. 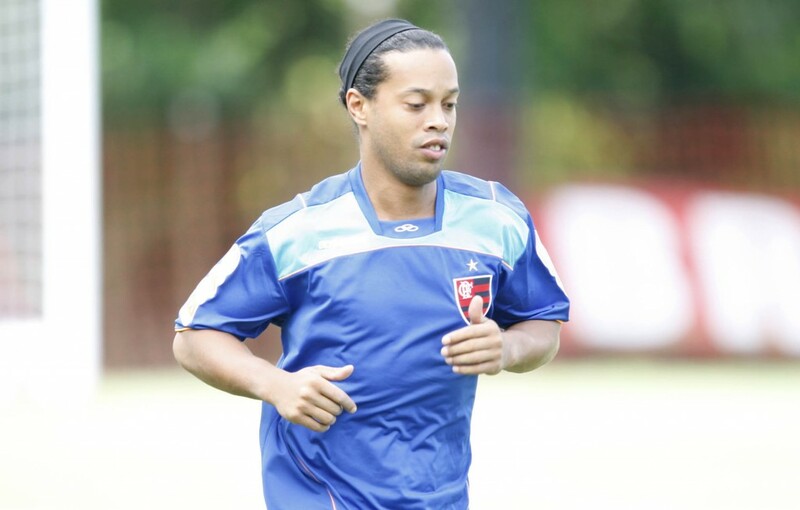 Ronaldinho Gaúcho is owed around R$ 4 million by Flamengo and clearly the player is a little pissed off about it. And he’s basically thought, if these guys don’t want to pay me then I’m going to take the piss. His brother and agent said that he wouldn’t play in Flamengo’s games against Real Potosí if his salary wasn’t paid. His salary wasn’t paid but while he did play in those games (and he played well in the second leg with an assist and a goal) he’s decided to get his own back in other ways. Boast to the media about how you no longer need to take orders from the coach after he’s been fired! Ever the disciplinarian, Luxembergo was having none of it and wanted the player to be punished for such indiscretions. Luxemburgo’s philosophy is that nobody is bigger than the club and discipline comes before names or politics. Of course, Luxemburgo is right. I don’t like Vanderlei but sympathise on this one. Understandably, he was not too happy about the situation and has over the last week repeatedly said: “Blah blah blah. Blah blah blah blah. Blah blah blah blah.” Basically, taking a very long time to say that he believes he was unfairly dismissed. 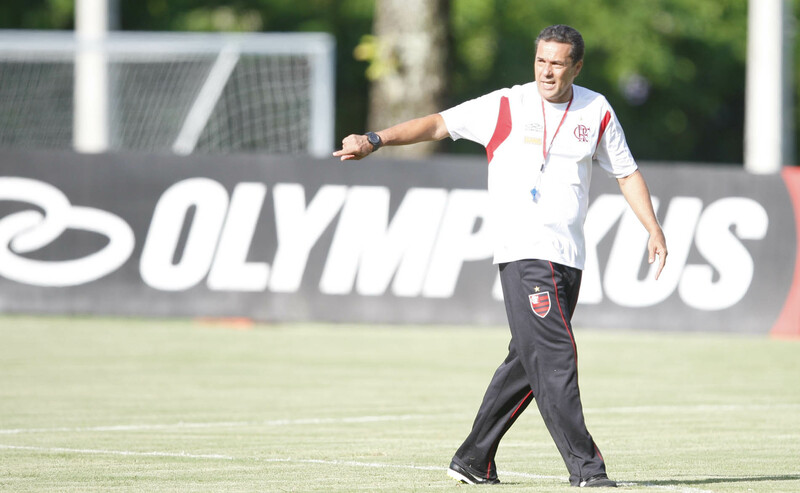 Joel Santana and his excellent English meanwhile will be taking over as coach at Flamengo for the 5th time, saying goodbye to Bahia as coach for the 3rd time!!! Talk about loyalties! He seems to think it’s not a problem at all and said that he is loved at both clubs. Is that right now Joel Santana? When asked about being unethical and accepting the job before Luxemburgo had been fired he went on record to say: “Blah blah blah. Blah blah blah blah. Blah blah blah blah.” Not sure how long he’ll be able to keep Ronaldinho happy though, especially if his wages aren’t paid anytime soon. Anyone fancy a making a friendly bet – how long until Joel Santana gets fired? On the transfer front, Thiago Neves has already left the club and joined rivals Fluminense. Lanky defender Alex Silva (ex-Hamburg) looks like he’s on his way to Internacional after he also got fed up with not being paid. Quite shockingly, despite all of their apparent financial troubles, Flamengo have managed to splash out more than 10 million Euros to sign Vágner Love from CSKA Moscow. What a complete lack of respect for their current batch of players. Only in Brazil…..
On a happier note Bebeto’s son, Matheus, made his debut for Flamengo last weekend. If young Matheus is anything like his Dad (yes, that’s the Bebeto who starred at the 1994 World Cup with Romario), then Flamengo might have quite a player on their hands. Share your passion for Brazilian football: leave a comment; join the debate, follow on Facebook and Twitter. Give this post the thumbs up below! This entry was posted in Brazilian football, Libertadores, Transfer rumours and tagged Bebeto, Flamengo, Joel Santana, Luxemburgo, Matheus, Ronaldinho, Vágner Love by Brian Davidson. Bookmark the permalink. Cant ask for discipline and responsibility from the players when the team is not responsible enough to pay its players.